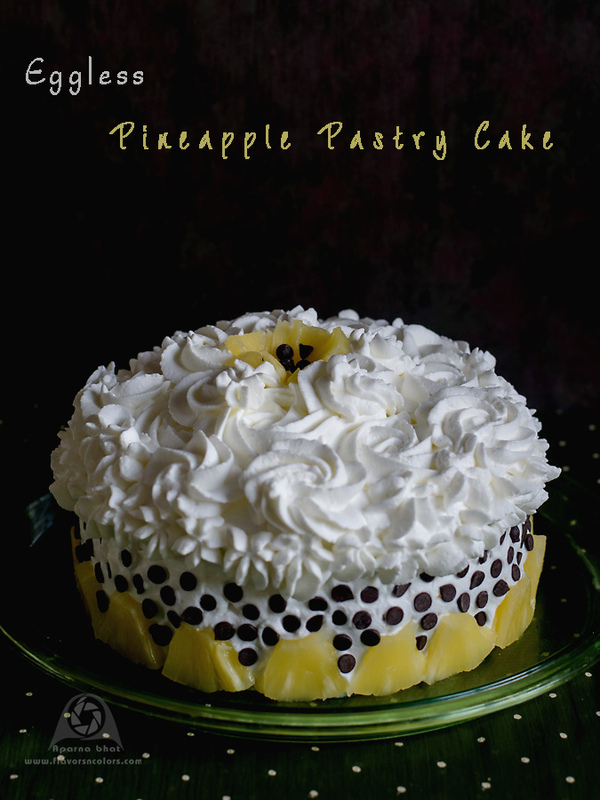 Kids love pastry cakes and many times I cater to their pastry cravings by baking an eggless pineapple pastry cake. 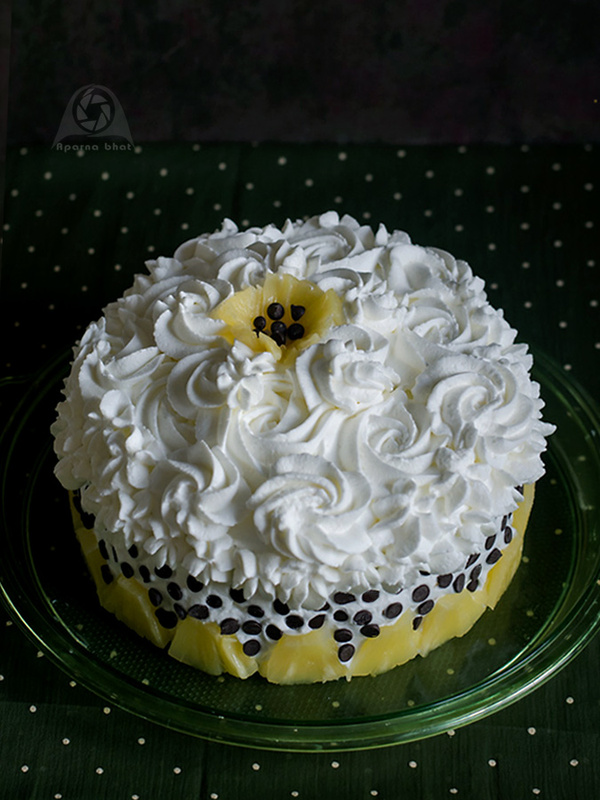 It is a sponge cake soaked with sugar syrup, layered with pineapple chunks and fresh cream and finally frosted with whipped cream. Here I have used Nita Mehta's recipe for eggless sponge cake from her book "Eggless Cakes and Muffins"
Sieve maida, cornflour, baking powder and baking soda. Keep it aside. Grease the cake tin [mine was 6 inch pan] either with butter or line it with parchment paper. Preheat oven to 150 deg C.
Place powdered sugar with condensed milk in a deep bowl and beat until it becomes light. Add oil. Mix it well. Now add dry mixture to the wet mix alternating with milk until the dry mix and milk are finished. Mix it well with a spatula. Now pour the aerated cola and give a quick stir. Pour the batter in prepared tin. Bake it at 150 deg C until the cake is done. Insert a knife/ toothpick in the center of the cake to check if it's done or not. Remove the tin from the oven after 5 mins and let the cake cool on a wire rack. As the cake is resting on the wire rack you can prepare the sugar syrup. Mix water and sugar in a saucepan and heat it on low flame. Boil till the sugar dissolves completely. Keep it on low flame for 2-3 mins and then switch it off. Keep it aside to cool down. Meanwhile mix whipping cream with pineapple essence and beat it. Add icing sugar gradually and beat it well until the mixture thickens and forms soft peaks. Once the cake is completely cooled, cut the cake into 2-4 layers horizontally based on the height of the cake. Separate the layers by placing them on plate and moisten each layer with sugar syrup. 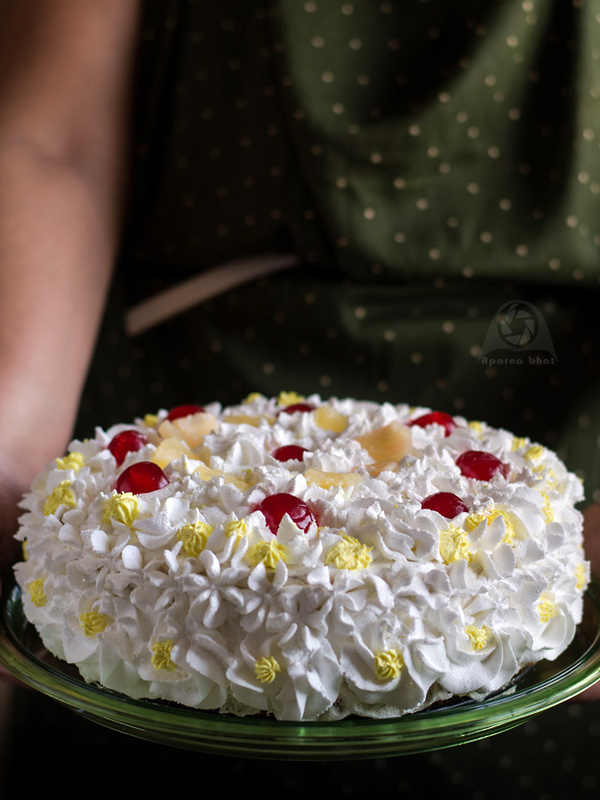 Spread the whipped cream on each layer and then place pineapple chunks and cherries on top. Spread another layer of whipped cream on these cherries. Repeat these steps with other layers. Place each layer of cake on the other. Spread the whipped cream on top of the cake. Level the cream on top and sides of the cake with a palette knife or a spatula. Whip the rest of the cream to form stiff peaks. Place the cream in piping bag with rosette nozzle/any other icing nozzle and pipe out rosettes to decorate the cake. Here I piped out rosettes on top of the cake and used chocolate chips with pineapple slices placed on sides of the cake. Place the cake on serving tray/plate and you may pipe borders on the tray [optional step]. Decorate the cake as per your liking and patience (see the below pic. 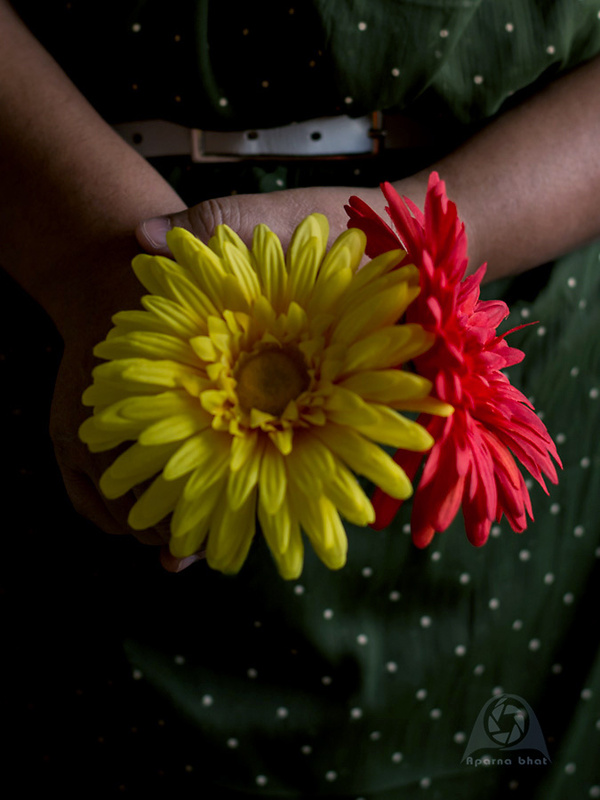 One of my many attempts when I had used rosette nozzles for the first time).